"It is within herself she will find her strength!" The most Important thing to know about me if we ever get the chance to cross paths is I have a passion and love for real estate, utilizing realtor com Idaho, and showcasing homes for sale in Idaho. As an Idaho Falls real estate professional, I believe to be the best real estate Idaho falls agent, but when I’m not showcasing my talent for real estate, I have a strong passion for food. I love me some McDonald’s and cow 16 oz prime makes me smile. I came to America at five months old weighing in at a whopping 8 pounds. I had extreme malnutrition. I was a new born when I had the opportunity to grace some doorstops at a church. I was taken to a nearby orphanage where I stayed for the first 5 months of my life. I was very lucky and blessed to be able to be chosen to come over to the states. I was of a mixed race and in that country it is a disgrace and looked upon differently. My parents today had hired someone to go over and find a baby for them. They had a girl and a boy of their own but desired more kids. My other brother was adopted from El Salvador. 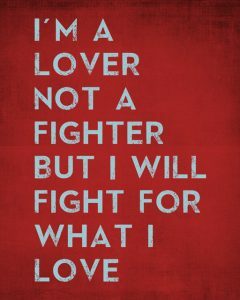 I am a fighter since the beginning. I’m very competitive by nature, especially with myself. I love a good challenge and am always up for trying something new. Life is short and I believe in doing the best you can every day to inspire others along the way. I am far from perfect but I make sure I don’t make those same mistakes and create a whole new learning experience. I used to box, So don’t let my size second doubt you. I love my family and friends. I moved to New York City when I was 18 to see what the hype was all about. This small-town girl fell in love with the city, but it wasn’t in my destiny to be there at that time. I came back and went to school in Salt Lake City. I’m always up for an adventure, so I headed to California after school and found myself in the midst of waves. I picked up surfing and long boarding. The sound of the waves crashing and the smell of the ocean still feels like home to me. Going without food and for those few months as a newborn actually impacted my thoughts of food today. I know I have enough food, but it is crazy.. I still think, what if…? I have snacks everywhere and I am constantly talking about food. I have run miles and competed in obstacle racing, all in the name of FOOD!